You might be wondering what your “best friend” usually does or where he goes when you are not around. Of course your best friend in this context is not your real friend but your little pet such as your dog, cat, etc. Designed for pet lovers who worry where their pets hang around when they go to work, this mini digital camera, Pet’s Eye View Camera, will be helpful to keep owners informed. Measuring 10 x 5 x 4cm in dimension, pet lovers can clip or hook the tiny camera on their pet’s collar and take some shots. The camera can be set to snap photos at 1, 5 or 15 minutes interval. The mini camera can take up to 40 shots in 640×480 resolution. Users can plug the camera to their Mac or PC to download the photos. This tiny camera has a built-in rechargeable battery which can easily recharge via USB. The interesting Pet’s Eye View Camera is pretty useful to keep track of pet’s activities. However, the shortcoming of this gadget is it can’t upload the photos taken automatically via Wi-Fi for the pet owners to monitor their pets on real time. 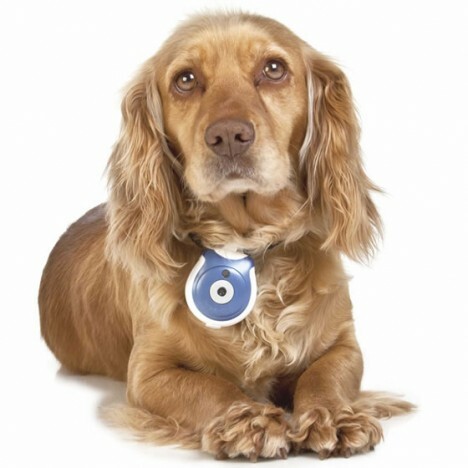 If this improvement or feature can be included, it will attract more pet lovers to invest in this gadget. The Pet’s Eye View camera is priced at $55.